Sorry, Thanksgiving. 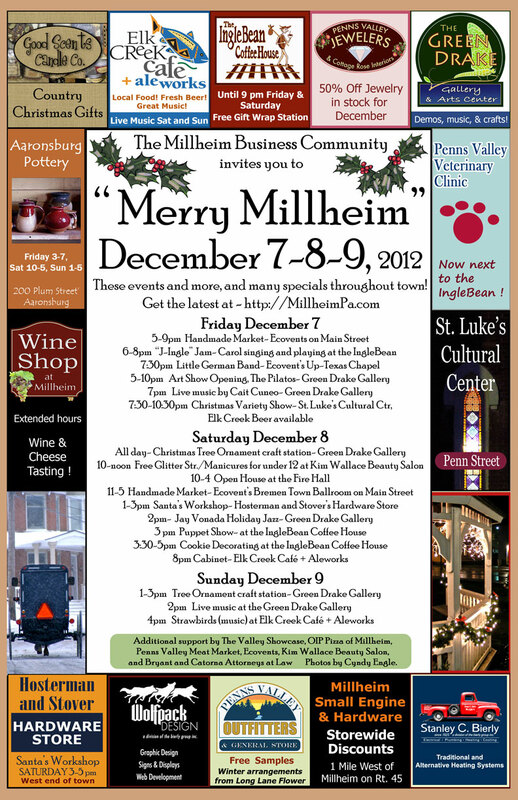 I love you, but today I’m thinking about Christmas because Penns Valley’s calendar is just bursting with concerts, celebrations, craft fairs, and holly jolly. Today, I’m using the baby’s nap time to put some finishing touches on our 12 Days of Christmas: Penns Valley Gift Guide. Beginning November 26, you can reference the guide as you bip around town looking for treasures to give your friends and family. This entry was posted in Christmas Gift Guide, Family Fun, Uncategorized. Bookmark the permalink.